I’m spending a few days in the south-eastern Turkish city of Antakya, very close to the border with Syria. I’ve come here because I’ve heard it’s very different from the rest of Turkey, not least because it was once part of Syria (from 1918 to 1938) when that country was under French rule. For me, the clearest way to witness the cultural history of this fascinating place is in its food. So I was very excited to visit the city’s main food market today. 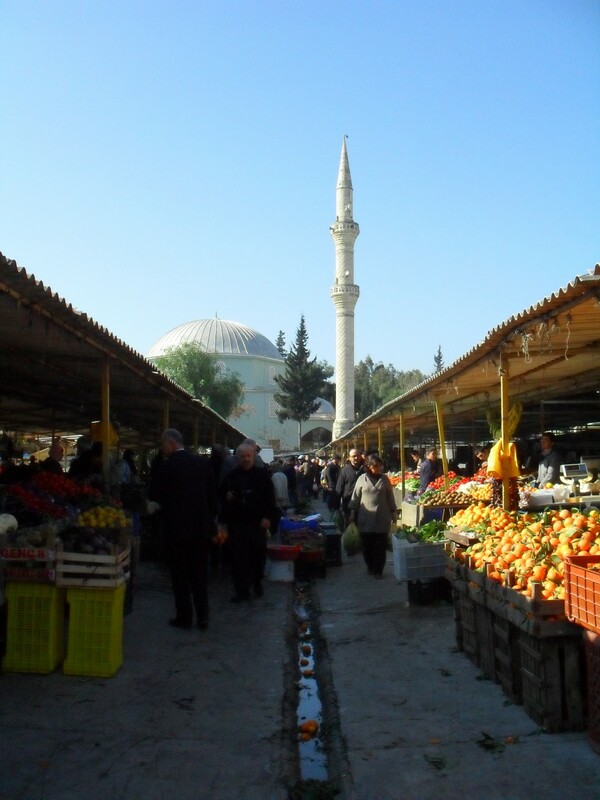 Although many of the fruit and vegetables were similar to those I find in the markets in Istanbul, the thing that really sets it apart was the people selling the stuff. The immediate difference, in my eyes, was that there were many many more women behind the stalls. I don’t know why, but you just don’t see women doing that kind of work at the Istanbul markets. Anyway, I just wanted to show you some of the hard-working, well-worn faces I came across today. They all clearly lead very tough lives, and work very hard. But they were all so kind to me, and insisted I took a sample of whatever they were selling. 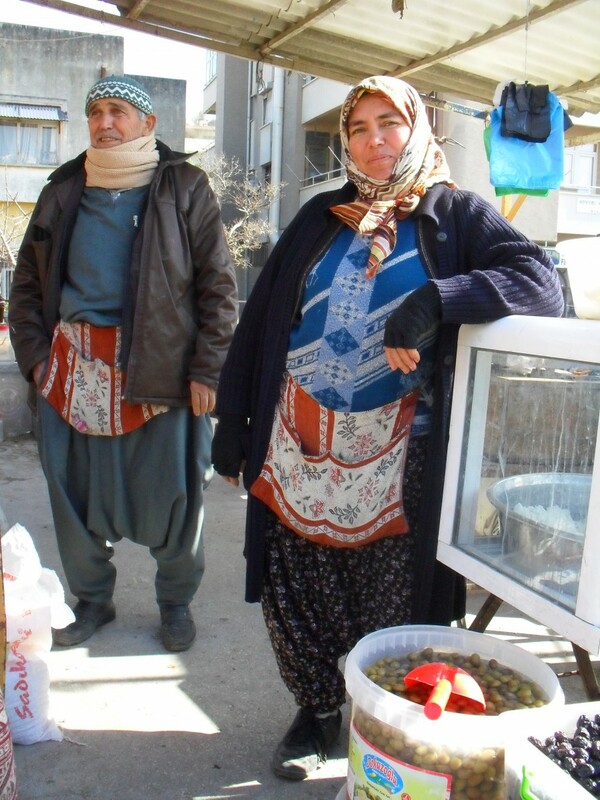 This couple (above) were selling the typical Antakyan salty yoghurt, the consistency of which was more like cream cheese, but much fresher and lighter in flavour. Delicious, of course. They also had the driest, wrinkliest black olives I’ve ever eaten – but surprisingly sweet. 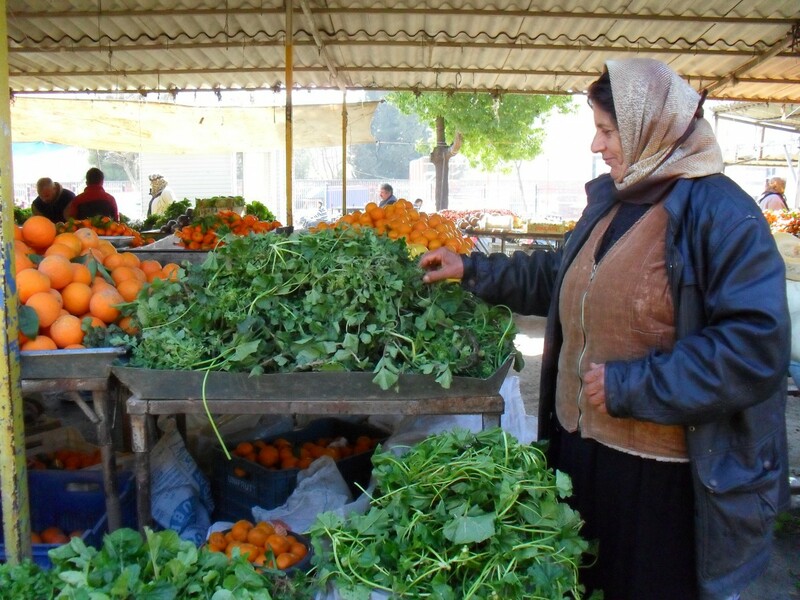 As is often the case at this market in Antakya, people come and sell even very small amounts of produce from their smallholdings. 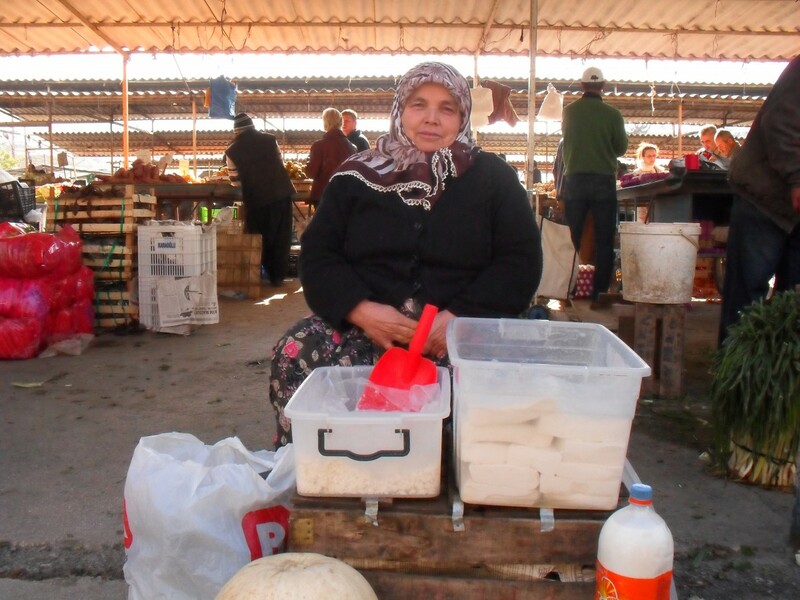 This woman (above) came armed with a couple of pumpkins, some homemade cheese and a 2-litre bottle of fresh milk. The herbs this woman was selling (above) were unlike anything I’ve ever seen. To be honest, at first glance they looked like the sort of thing you end up with after giving your garden a good prune. But absolutely everything in this mishmash was edible – and fantastically flavoursome. But don’t ask me what any of it was – I haven’t got the faintest idea! This, believe it or not, is a radish (above). 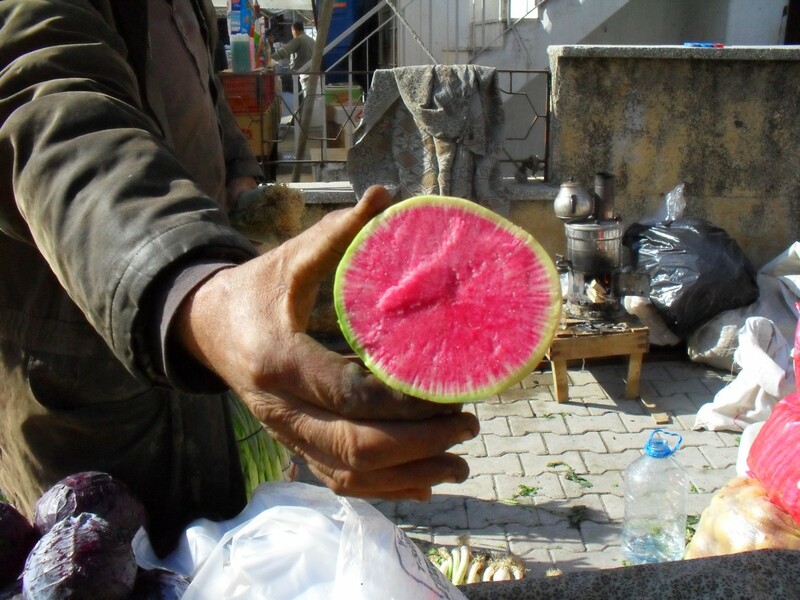 They don’t half like their radishes in Turkey. And when they are as sweet and peppery as this one, I can understand why. My very first meal in Antakya included a black carrot stuffed with minced lamb, rice and spices. Several meals later, I still think that was one of the best dishes I’ve eaten here. 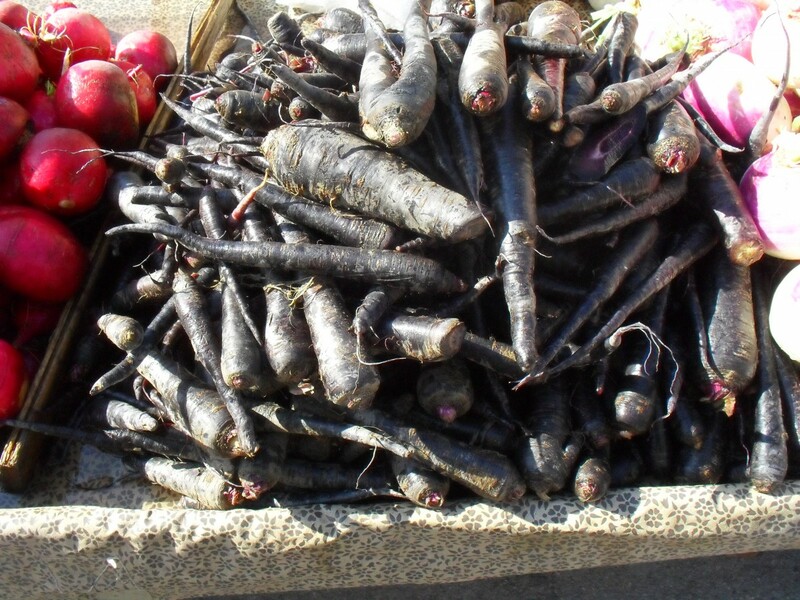 I got very excited when I saw this pile of black carrots at the market (above), but sensibly came to the decision that I was not going to be able to stuff a couple of kilos of them in my suitcase to take home. 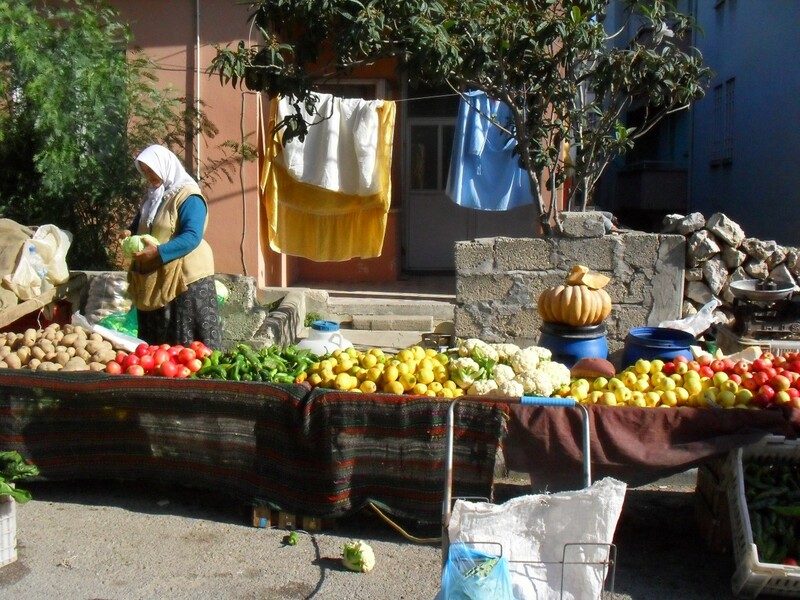 It seems to be the case in Turkey that the surrounding streets are completely taken over with people selling produce on market day. I like to think this woman has a veritable garden of paradise behind this house, which she heaves onto the street each Saturday. I doubt that’s even where she lives, but it’s a nice thought. The other day I got a marriage proposal. Not from the man currently awaiting my arrival in Istanbul. But from the lovely Lene, my friend whose spare room I’m currently occupying. We’d spent a very profitable but tiring morning selling off my excess baggage at Chiswick car boot sale, then returned home to make tea for our friend Helen and her two kids, Eric and Agnes. 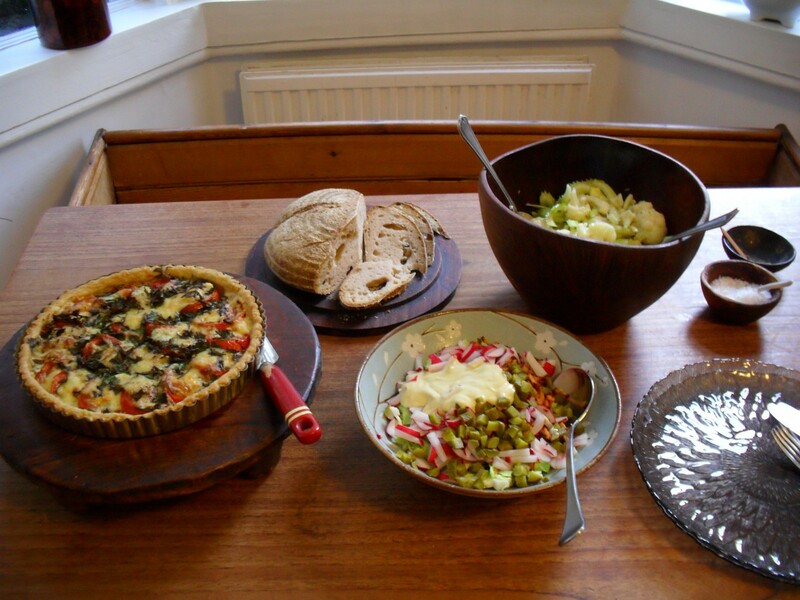 Despite having got up at the ungodly hour of 3.30am, we quickly made cake, scones, sandwiches, salads and dips – and it was our impressive teamwork that led Lene to suggest I should not, in fact, move to Istanbul, but stay in London and marry her instead. I told her that if things didn’t work out with Süleyman, I’d definitely consider the offer! And I’m certainly loving the way we’ve just clicked living together – easily sharing the cooking and household chores, and having someone to talk to when the practicalities of moving to Istanbul become a little overwhelming. In return, I’ll make sure I’m around to cook for her boys when she wants to go out (and to send Dexter to bed before he falls asleep in front of the television with his Xbox in his hand). Which is what I did last night. Lene, being a bit of a yoga bunny, headed off for an evening of bending into strange shapes, while I fed Dexter (Wesley still making very rare appearances, thanks to a summer of parties stretching ahead of him). As I mentioned in a previous post, Dexter is a pretty adventurous eater (especially considering he’s a young vegetarian), and is always willing to try new dishes. But it’s still something of a challenge for me to come up with veggie meals that he and the rest of us will enjoy. So, a trawl through my trusty folder of cut-out recipes came up with this delicious-looking French tomato tart, which I’d seen on David Lebovitz’s blog. I decided to buy the tomatoes from Lina Stores, the lovely old Italian deli on London’s Brewer Street, and thought, rather than the French goat’s cheese David suggests, I’d stick with the Italian theme and try some of that country’s cheese instead. The beautiful, plump plum tomatoes combined with some fresh herbs direct from Lene’s garden gave the tart a truly summery flavour. So, on the side, I kept it seasonal and made a crunchy radish and gherkin coleslaw with mustard mayonnaise, and one of my all-time faves, cauliflower, fennel and celery salad with a lemon dressing, from Claudia Roden’s A New Book Of Middle Eastern Food. We also ate several slices of my latest loaf of sourdough bread, slathered in lots of butter. As a keen foodie living on her own, there are always going to be times when it’s impossible to make a one-portion sized dish. Roast chicken being a case in point. Well, any roast really, but as roast chicken is one of my all-time favourite meals, that’s what comes to mind. (When I was a kid, I used to say that if I was a princess, I would have roast chicken for breakfast every day. 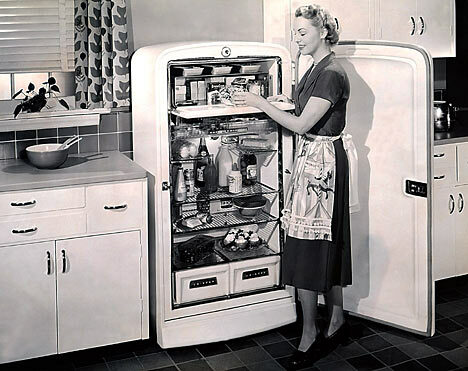 Clearly, I learned young…) And that’s why the freezer is the single foodie’s best friend. Bread. I’m not a huge consumer of bread, but when I do buy a loaf, like a nice crusty sourdough from The Flour Station in Borough Market, I’ll cut it into quarters and freeze what I’m not going to eat that day. Once thawed out, pop it in the oven to crisp it up a bit. Cakes. I haven’t really experimented too much with this, but so far I have successfully frozen my homemade biscuits and cupcakes (without fillings and icings), and my date loaf cut into slices and wrapped individually in clingfilm. I’ve also frozen some leftover chocolate ganache, which was fine to use when I thawed it out. Herbs. Pretty much all herbs freeze well. I don’t usually bother freezing parsley as I use it up so quickly, but rosemary, basil, thyme, sage and mint are permanent residents in my ice-box. Do not attempt to thaw herbs before using – they’ll just turn into slimy mush. But straight from the freezer they’re nice and brittle, and crumble easily into your cooking. 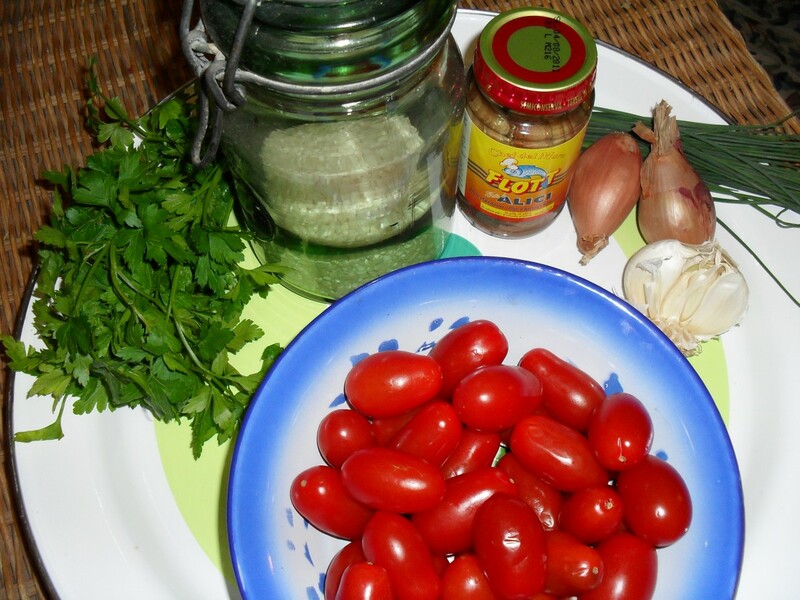 Tinned tomatoes. Not in the tin, obviously. But often I’ll use half a tin of tomatoes, and if I don’t think I’ll want to use the rest of it within a day or two, into a tupperware pot it goes and into the freezer. And the best thing is you can use it straight from frozen. Frozen veg. I think all frozen veg is pretty horrible except peas – so that’s the only vegetable that graces my freezer. Fresh meat and fish. If I buy two or three items at the market on a Saturday, I’ll usually eat one of them at the weekend, and put the rest in the freezer to cook during the week. I also use a fair bit of pork and lamb mince, so I’ll buy, say, 300g, divide it into 100g portions and freeze them. And, again, you can cook mince from frozen, if you don’t remember to take it out in time to thaw. Leftovers. The above-mentioned roast chicken is not as extravagant a meal as you might think for one person. Once the leftovers are cold, I remove all the meat from the bones, divide it into portions and freeze. Perfect for risottos, soups, salads, stir fries, and, most delicious of all, fried in olive oil to crisp it up with a side of oven chips. Mmmmouthwatering. So, am I missing any tricks here? What’s in your freezer? I bought a huge bag of cherry tomatoes at the market on Saturday, and they looked like they were heading fast towards their ‘use-by’ even then – but at a quid for the bag, I couldn’t really pass them up. Anyway, by last night they were looking pretty soft, so I thought I better use them up quick. I’m not really a big risotto fan but this one I love. 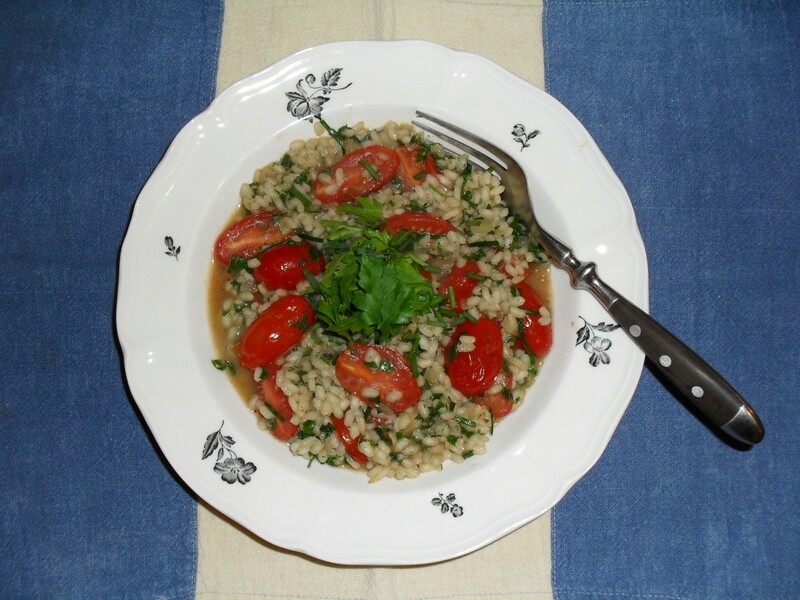 I add a couple of anchovy fillets (one of those essential ingredients my fridge is never without) when I’m softening the onions and, as the tomatoes were very soft already, I just popped them into the risotto when the rice was pretty much cooked – so the tomatoes just heat through, rather than cook. Then I chucked in a handful of parsley and chives, and it’s done.